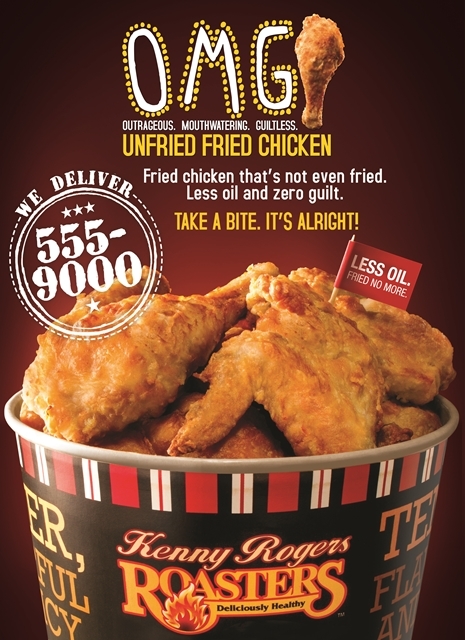 Everybody loves fried chicken and Kenny Rogers Roasters wants you to indulge without the guilt! With innovation in the food industry comes the concept of "unfried". I have encountered this once or twice in trade shows, where food is cooked with circulating hot air and its natural juices/oil inside a machine called air fryer. Kenny Rogers Roasters is committed in providing a deliciously healthy eating habits for its consumers. Thus, they are using this cooking technique for their newest menu item, the OMG Unfried Fried Chicken! 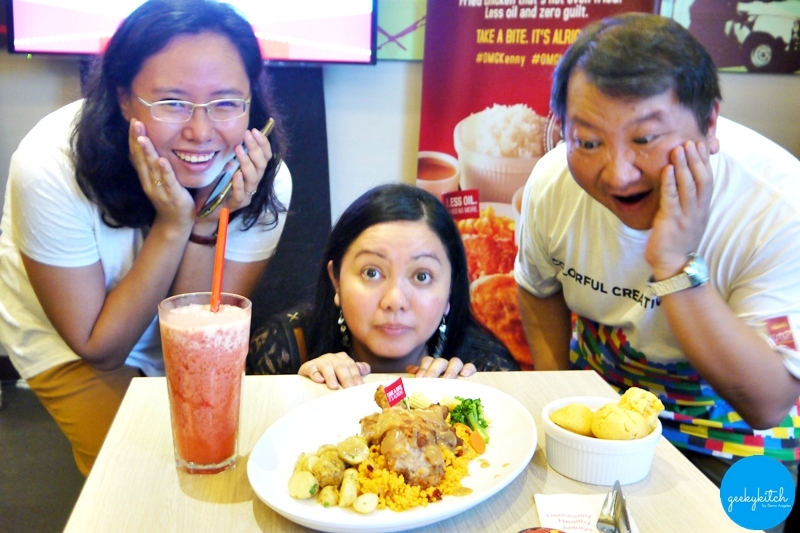 A standard meal (P215) comes with two (2) pieces of OMG Unfried Fried Chicken, 2 regular side dishes, white rice and a muffin. The chicken may look dry but wait until you remove the skin and bite into the meat. Air frying made the skin crispy, maintained its juiciness and locked in great flavors - enough that you'll forget to dip it in the gravy! The meal can get light or heavy, depending on your side dish preferences and whether you'll skip the white rice or not. But one thing's for sure: you can enjoy a healthier fried chicken! 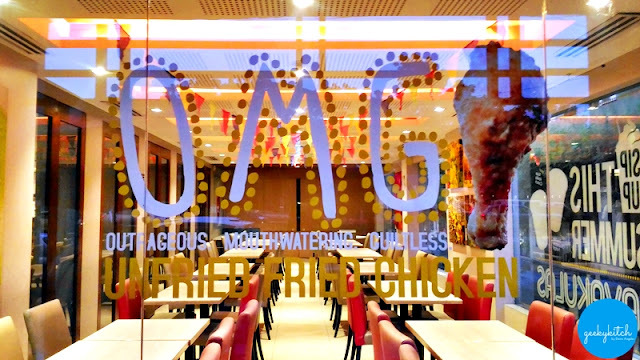 Share your love for OMG Unfried Fried Chicken with the entire family, office or barkada! 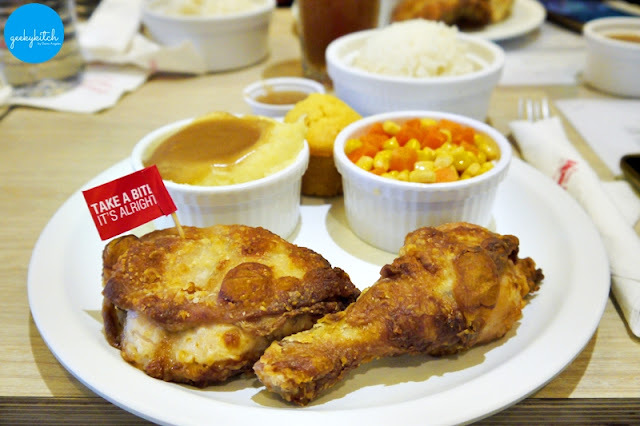 Get the Group Meal (8 chicken pieces, 4 muffins, 4 rice, 4 regular sides, gravy and choice of drink) for only P730 while an order of 8-piece Unfried friend chicken costs P465. OMG afternoon with lovely food/lifestyle blogger friends! Thank you, Kenny Rogers ? 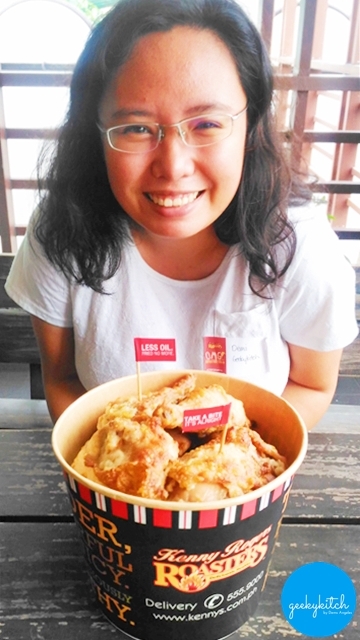 Here's me introducing the OMG Unfried Fried Chicken to my good friend Jam during our recent staycation. Approved! #OMGKenny #OMGLessOil dinner with Jam ?? ?